David Garcia, a Democratic college of education professor who galvanized teachers, school administrators, and parents behind an ambitious bid to pump more than $1 billion back into Arizona’s public school system, lost Tuesday to incumbent Republican Gov. Doug Ducey in the race for Arizona governor. 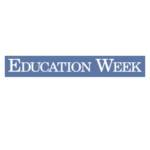 It was a significant blow for public school advocates across the country who drew inspiration from the #redfored movement sparked here after thousands of teachers staged a week-long strike last spring over stagnant wages and stringent work conditions. 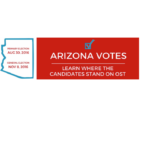 Today Arizonans begin casting our ballots in the 2016 Primary Election — the first step in determining who will lead the state and represent our state in Washington, D.C.
AzCASE has reached out to every candidate running for Congress and the State Legislature, and asked them to declare their support for out-of-school time youth programs. We are excited to share their responses with you today.